still no GA for Vancouver. No Red Zone either just seats. If i dont get GA before Live Nation's monday presale then renewing my membership (late ugh) was a waste of money... fingers crossed they 'drop' some tickets soon! any idea what the Vancouver red zone prices are? HI looking for a GA ticket for the second show in Vancouver. 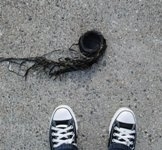 Face value. Hit me up here or email me if you can help thanks! BC currently has over 500 fires burning province wide. 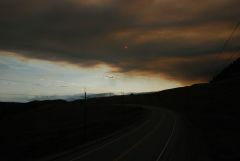 This shot was taken on the first day of the kelowna fires - we were coming home from a camping vacation and this is what we saw heading into town. The sun had turned red due to smoke which is what drew my attention first, until we came around the corner and saw this. U2 drive me crazy - the only band that i've followed for years, the only band i've wanted to see over and over and over again and the only band that has kept me interested in what they are doing both musically and personally with their charity work and foray into anything technologically new and exciting. 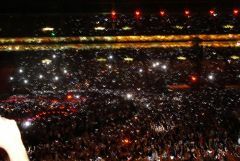 This photo was taken at the U2 concert in hawaii during One - cell phones were lit up to show solidarity, the end result reminded me of the ONE cranes we all folded and sent for the U2 show in Japan. toss in a huge display for (RED) campaign and this is one of my favorite U2 shots, even though the band arent in it!